Founded by renowned audio innovator Bob Carver, Sunfire designs, manufactures and markets the smallest, most powerful, high fidelity speakers, subwoofers and amplifiers in the world. Prices range from $450 to $4100. 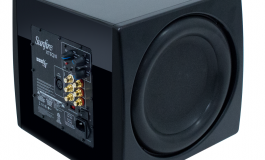 The line includes subwoofers to meet the needs of both the end-user and installation professional. 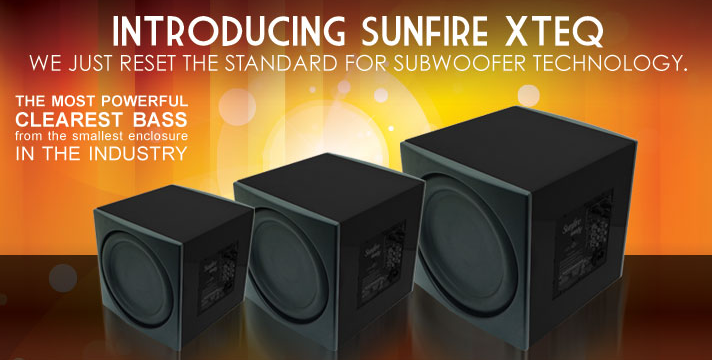 From the world’s first small-box, high-power subwoofer to the most powerful 8” tall speaker and the world’s first Flat Panel Subwoofer, Sunfire’s lineup is uniquely relevant to today’s consumer trends. High fidelity high output performance out of impossibly small form factors, provide end-users with the large-box performance without the large box. Sold in over 65 countries worldwide, Sunfire combines over 40 years of unconventional thinking with precision engineering to create innovative home audio and theater products that deliver exceptional performance – whenever, and wherever, they are heard. Sunfire owns numerous patents including the Tracking Downconverter™ power supply used in the company’s subwoofers and amplifiers; and High Pressure, High Back-emf technology and StillBass® found in the company’s on-wall and in-wall SubRosa subwoofers. StillBass reduces mechanical vibration commonly found in all subwoofers. Reducing mechanical vibration improves fidelity while reducing damaging vibrations.